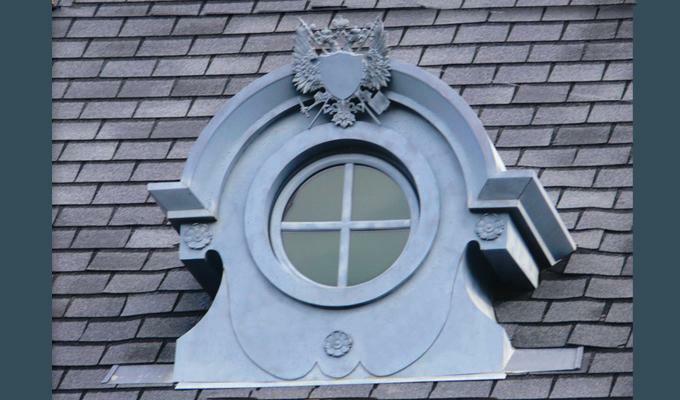 Majestic details give this dormer a regal appearance. Crest detail and cast iron rosettes complete this elegant look. Window pane design; handmade from 16 oz. (24 gauge) copper and offered in a light or dark copper patina.